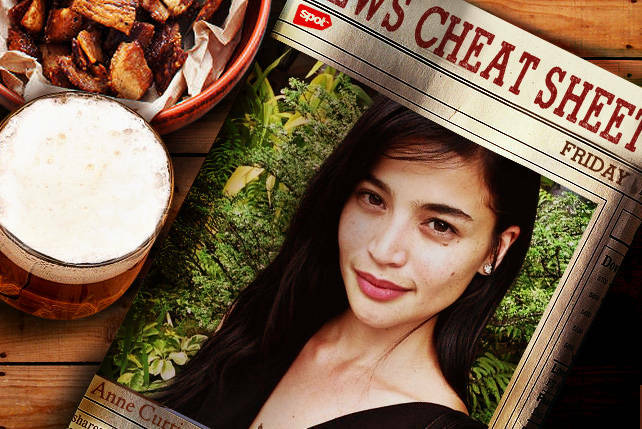 Fast facts: The newest TV mermaid, Anne Curtis, was reportedly involved in another scandalous incident in a bar this week. Curtis allegedly yelled at Sam Concepcion at Vice Ganda’s birthday party, questioning the amount of class he has to attend a sosi event, but the actress made a statement flatly denying that the row took place. She is now in the hospital after being stung by a jellyfish while shooting scenes for Dyesebel. Fil-Am model Geena Rocero came out as a transexual in an inspiring TED Talk, brought out the best and worst in people. Fast facts: The Office of the Ombudsman has approved the Senate recommendation that the three senators be tried for the plunder and graft, along with Madam Jenny Napoles. Napoles, on the other hand, will also be tried for malversation and corruption of public officials. In an ideal world, the three senators are to be arrested-handcuffs, prison, the works-but with Senator Estrada steadfastly refusing to go on leave despite these charges...tough luck, Philippines. They did release this information on April Fool’s Day. The joke, it seems, is always on us. Fast facts: We’re putting the hammer in quotations marks, as in this instance, the gang has replaced their equipment. According to reports, the robbers used a pipe wrench. The police are now wondering if this is the same gang, or if an entire toolbox of copycats are doing the same modus. No word yet if SM management is considering a ban on wrenches, or if they will relocate ACE Hardware outside of the mall. Fast facts: After Stephanie Retuya’s noteworthy finish last year, the Philippines stands another great chance of coming out on top in AsNTM this year, with both Jodilly and Katarina making it to the finale. No joke here. Pinays are just really very pretty. Good luck, girls!